We found 17 open box, clearance, and sales items from Isaac Mizrahi New York - Open Box - Hard Shell Case for Apple° iPhone° 5 and 5s - Navy/Pink/White. We found 42 open box, clearance, and sales items from Isaac Mizrahi New York - Open Box - Hard Shell Case for Apple° iPhone° 6 Plus - White/Gold. We found 52 open box, clearance, and sales items from Isaac Mizrahi New York - Open Box - Floral Case for Apple® iPhone® 6 - Black/White. 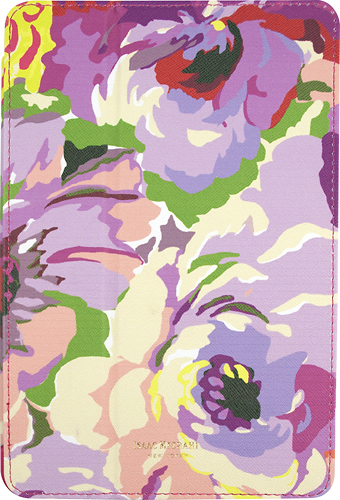 We found 72 open box, clearance, and sales items from Isaac Mizrahi New York - Open Box - Blended Florals Case for Apple® iPhone® 6 - Multi. We found 53 open box, clearance, and sales items from Isaac Mizrahi New York - Open Box - Mini Dot Case for Apple® iPhone® 6 - White/Gold. We found 76 open box, clearance, and sales items from Isaac Mizrahi New York - Open Box - Monostripe Case for Apple® iPhone® 6 - Black/White. We found 2 open box, clearance, and sales items from Isaac Mizrahi New York - Open Box - Folio Hard Case for Apple® iPad® mini - Blended Florals. We found 61 open box, clearance, and sales items from Isaac Mizrahi New York - Open Box - Hard Shell Case for Apple° iPhone° 6 Plus - Purple/Green. We found 56 open box, clearance, and sales items from Isaac Mizrahi New York - Open Box - Hard Shell Case for Apple° iPhone° 6 Plus - Black/White. We found 46 open box, clearance, and sales items from Isaac Mizrahi New York - Open Box - Hard Shell Case for Apple° iPhone° 6 Plus - Pink Stripes.